Does anyone have experience in dealing with a Buyers advocate? Hi, I am seriously considering engaging the services of a Buyers advocate. I currently have 2 properties but I am unsure if I am on the right track. I fell if I engage an expert it will give me a better chance of purchasing the correct property and assisting with my strategy. I am in the exact same position and keen to read any advice that your post generates. I am also not sure where to access a genuine buyers advocate or investment advisor. Hi guys. Have a look at the Buyers Agents that are members of REBAA (Real Estate Buyers Agents Association of Australia). 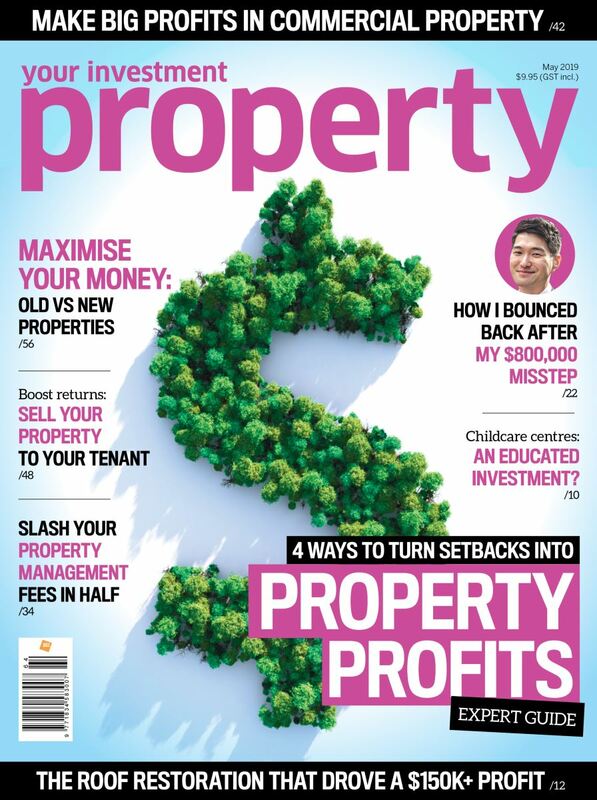 My husband and I were in the same position of needing assistance with our property investment strategy. We researched that many property investment advisors, until we came across Rixon Property Group Australia. The consultant assisted us in selecting a property best suited for us and developing an investment strategy in expanding our portfolio further. Not only did he advocate on our behalf but kept us updated throughout the entire process. We were especially impressed by how quickly we got tenants into our property with no fuss at all. We are on our third property investment with Rixon Property Group and we can't vouch for them enough. I hope this review was helpful and good luck! It is important to distinguish between a Buyers Agent licensed by your state govt. and work 100% for you, and property marketers who are often paid sell of new apartments or developers. We at Strategic Buyers Agents are licensed, based in Melbourne and with members of our Strategic Alliance in Sydney and Brisbane. Run away from these types of companies they take fat commissions and often overstate values and rental returns. Go direct to a local project builder and they can work with real estate agents or land developers to find you a site. You will save thousands. <edited> I am a builder and we have had these developers broker deals with us in the past. They take our retail price and ad fat commissions it is not hard to do it all yourself and builders and local realestate agents can help. Property buyers are the same as any other business, they can be a fantastic resource but you need to do your research check them out, reviews are always a good place to start, talk to them and in the end go with your instincts. I have seen clients get some fantastic deals using property buyers and others where we have seen a rather complacent approach. A buyers agent can really help you save time. However, be careful as most buyers agents only focus on their area of expertise. Ie. They may only be focussed on the North Shore, or the Eastern Suburbs, or the CBD. Yes, and the property specialists that just earn fat commissions are not looking out for your interests. Pick an agent that can really help provide you with some feedback on the specific properties that you choose. An agent that has the skill to look at properties in different areas and across different property strategies. Some buyers agents are only paid for properties they find for you. The fact that you have already found your properties means you need to find an agent that offers the service of helping you, if you have already found the property. Does anybody have any experience with Maxi Own? Hi, did you use Maxi Own, we are looking at them. Maxiown is being referred by a mutual friend and i have met with them. They sound very good. But still uncertain whether i should get on board with them or not. Does anyone has any experience with them? Very much appreciated. Generally, a buyers agent helps you find property within your specifications. The fact that you have already bought a few properties and your questions indicate you are looking for assistance with setting your property vision pathway or a property plan over several years. Think of every property you purchase as having a domino effect on the rest of your wealth creation portfolio. You need to consult someone that can give you guidance on how to set up a plan of a few properties that can be purchased within your capacity based on your unique circumstances today and over the next few years. They also need to help you ensure the next purchase in your property vision pathway is a powerful anchor to maximise your ability to implement your overall property plan. Someone who can educate you on all the property strategies available to you, mentor you through your property journey and also has experience in property due diligence and search would be ideal. What you said resonates with me and aligns with what I'm looking for in a buyers agent. Have you had positive experiences with any in particular? It is super important to ensure that a company whose services you engage are researched based. Many are in the pocket of the developer and the builder which means even if they don't have THE BEST OPTION FOR YOU, they must still sell the property to make money. 2) The Spruiker - who masquerades as the 'property advisor' and tries to flog off the plan and newly developed houses away from the main city centers. They even give you rental guarantees at times so it would be good to do your due diligence as to the demand in the area after the rental guarantees expire. 3) The Advisor - A specialist who works for the buyer and provides independent and unbiased advice on the pros and cons of a potential investment property and will provide you at least 3 properties that you can choose from. It is worth paying for good advice before putting $400K into someone's pocket. Roshani, would you have anyone you used in the past that you could recommend? The second one is certainly not a professional. Just wanted to point that out in my previous statement. I feel and understand your frustrations. Distinguishing between whether they are buyer's agent or a marketing professional is absolutely key and unfortunately for many this is easier said than done. I've engaged the services of a buyer's agent - after some serious hunting around. Throughout my investing journey I've looked at the services of all sorts - financial planners, agents, mentors etc. etc. and many of them either were't offering what I needed OR were only interested in taking your dollars (i.e. they were either the salesman, spruiker or advisor). I've FINALLY found the services of a buyer's agent and I can't be happier with the outcome. Definitely worth it. Which buyer's agent did you go for in the end? I'm looking for my first property in Sydney and really not sure if I can really afford a buyer's agent. If only they could come with money-back guarantees that they will find you something well below market value! I am not aware about it. Performance Property Advisory I have used for the last couple of purchases. Well worth it I think. I am also looking for a Buyers Agent. im in Sydney, but am open to using a BA in any state. Can anyone recommend a good BA? Can anyone tell me what I would expect to pay for this service? How do I find out what BA works in what area? I'm interested (Victoria-based) in Mordialloc, Parkdale, Cheltenham, Clarinda, Mount Waverly areas. The Real Estate Buyers Agents Association of Australia (REBAA) directory could be helpful for you. 1Group Property Advisory are an independent, flat fee for service, buyers advocate with offices in Melbourne, Brisbane and Sydney. We specialise in the purchase of both residential and commercial property on the east coast of Australia. We work across the above mentioned areas.